Can I trust the people coming into my home? We are very particular and thorough about who we hire to join our exceptional pet sitting team. We have a very lengthy hiring and training process which includes multiple interviews, calling references and a back ground check. In addition, all new sitters are given extensive one on one training by our veteran staff members. We can provide references from current clients at any time. Will the same pet sitter be coming to visit my pets? Although we always try to send the same LPF sitter to your home, it is not always possible for that person to do all the visits. Our awesome team of pet sitters all work for LPF part time, different days and different shifts, as they have families and other jobs and activities. Can I set my alarm? Yes! We recommend you do that. You will just need to provide the security code to us. We suggest you contact your alarm system and tell them we will be entering your home. And we would need the alarm company’s information just in case the alarm is set off accidentally. Why should I keep my key on file? By keeping your key on file with us, you can more easily make your reservation with us. There may not be time to coordinate a key pick up/return. This also allows us to take reservations on short notice if you need us. Our security bonding and liability insurance allows you peace of mind in knowing we will safeguard your key. Of course, it is not a requirement to do so.If, however, you would like your key returned, there will be a $10 fee each time we pick it up and return it and will require a minimum of seven days prior to first service date. Note we do require two copies of your house key while we are provide services. In most circumstances, our staff is trained in administering medications orally and via injection. We have lots of experience with senior and special needs pets as well. However, we do have limitations on this. We will be happy to discuss with you, if we can successfully administer the meds. What do you do if my pet becomes sick or injured? The first thing we do is contact you, the client to formulate a plan of action. If it requires a trip to the veterinarian, we will do that. If not, we will monitor the situation and keep you posted. If we cannot reach you by phone (or your emergency contacts), we will use our best judgment, which may include taking the pet to the veterinarian for an assessment. You can call our office number any time and leave a message if we are not available. The voice mail is checked several times per day. Home and pet care routines change over time. The most important thing you can do to help us is to make sure you are updating your online house/pet profile, so that the pet sitters have up to date and accurate information. Spoons, can openers, dishes, etc. Trash can and/or recycle bin: we will rinse out cat/dog food cans so please tell us where you want us to put them. Please leave out old towels for us to wipe off dirty paws in case it’s raining or snowy. If we cannot locate a doggie towel, we will use paper towels or other towels we may find to avoid muddy paws throughout your house. Please let us know where shy cats hide. We like to at least see them if possible. 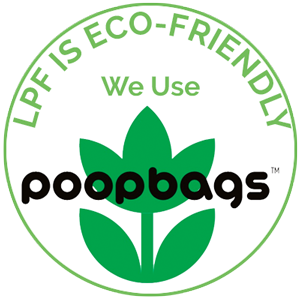 Because we do want to make the smallest imprint possible on the environment, we prefer to use the fewest plastic bags possible and may use the same bag for litter box scoops a few times before taking it to the trash. Please let us know if that is not ok. If our first visit will be after dark, please leave some lights on for us (indoor and porch lights). Please let us know about doors or locks that are difficult to open/close and if you have tricks to make it easier for us. If we are accessing your home via a key pad please check to make sure the battery is good. Please let us know if a house keeper, etc. will be entering your home and provide their contact information. Also, if you leave your car in the driveway while you are away, please let us know. For safety reasons, we may not enter your home if we are not sure. If you have an alarm system, please give the alarm company our name/phone number in case they can’t reach you.